* What helps a painting sell? * Why paint a series of paintings? * Color Studies, are they necessary? 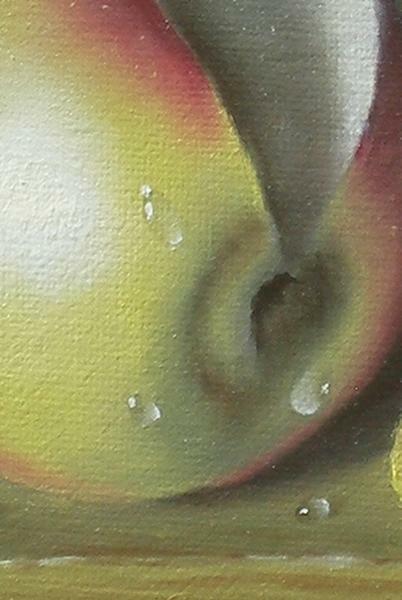 * Wanting to paint Photorealism? 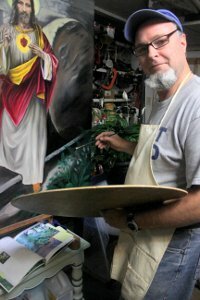 What helps a painting sell? Drama! Yep, and I've proved it to myself a number of times. Adding a story, or drama to a painting will capture the viewers heart. I talk about it in more detail in this article about the Salmon Azalea. 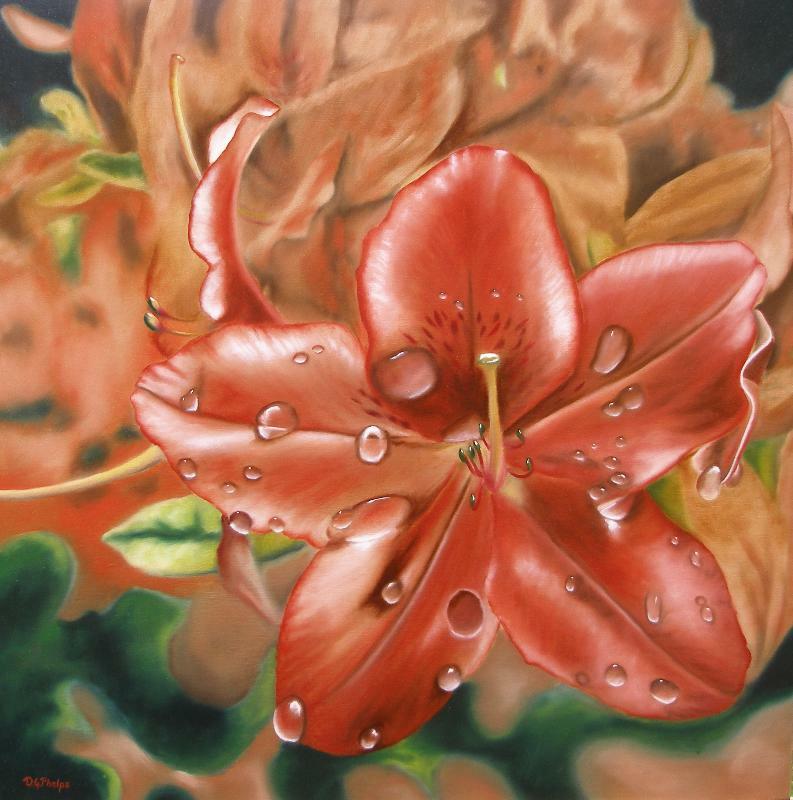 And there's another example found here when I'm talking about "How to paint flowers" page. 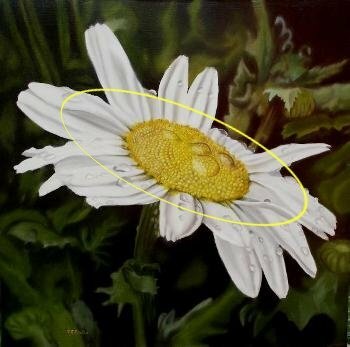 Check out the gerber daisy painting I use in the discussion. Check out the painting closely, then click on over to the final picture and the item that made it sail off the gallery wall! You wont find the drama in the photo below, but it will stand out on the link page. It can be found under the Gerber Daisy "more info" page within the Sold Archives. Painting a series of works around the same subject matter isn't as boring as it may seem. Click to learn why here. Color studies have been a part of painting for a long time. Why bother? Well, check out the lesson I had to learn before doing them. 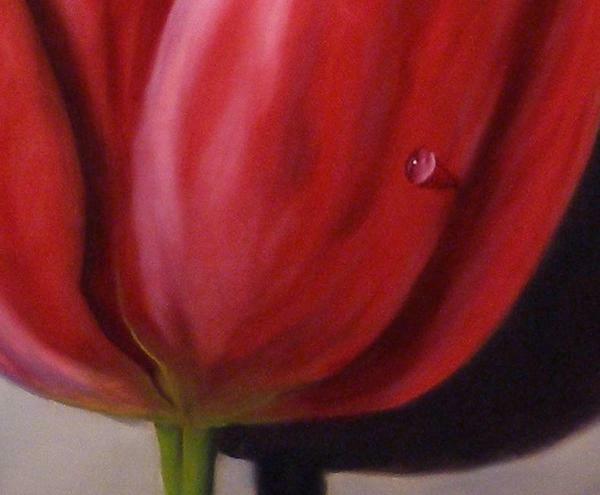 Click Here to see the Red Red tulips.